Oh whoa, here is a Chickadvisor campaign that I am very interested in! Uncompromisingly gorgeous, voluminous lashes? 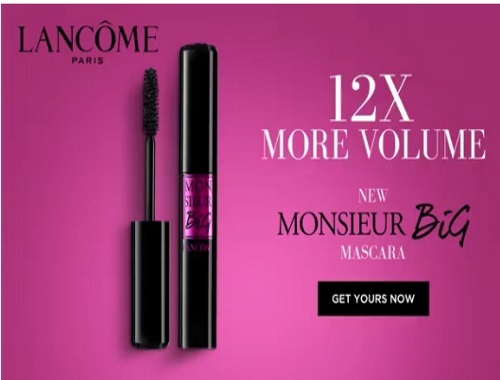 That's exactly what Lancôme Monsieur Big Mascara is designed to deliver! It also promises 12x more volume* and up to 24 hours of wear without flaking or smudging. 200 Chickadvisor Product Review Club Canadian members will have the fabulous opportunity to get to know Monsieur Big personally. Click on the link below by June 25, 2017 to apply! Offer open to Canadian residents only. Selected members will be contacted by email the week of June 26, 2017.